It is our sincere pleasure to nominate Colin MacLeod for the CSBBCS Tees Leadership Award. 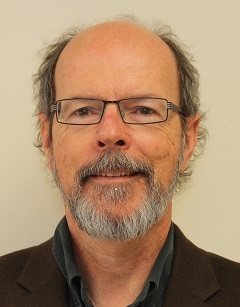 Colin has made significant contributions at many levels to Canadian Psychology over his 38 years of service (25 years at the University of Toronto and his 13 years at the University of Waterloo). Colin has been a constant presence in CSBBCS from the beginning, serving as President (2009-2010) and also on various other committees throughout the years. In recognition of his career contributions to the advancements of Psychology, he received the CSBBCS Hebb Award (2010), and the CPA Hebb Award (2012). In addition, just this past year he was given the significant honour of being elected as a Fellow of the Royal Society of Canada. Colin has served as Editor of CJEP (1992-1997) and has been an active member of the editorial board ever since (1997-present). He has also served as Editor of Memory & Cognition (2001-2005) and has been a member of the editorial boards of many of the top journals in our field (e.g., Psychological Review, Journal of Experimental Psychology: Learning, Memory, and Cognition). He has remained closely connected to CPA throughout his career and has worked diligently to keep CPA and CSBBCS working together for common causes. The same is true elsewhere in the world, as his membership on the Governing Board of the Psychonomic Society (2010-2015) attests. Colin has also served on the NSERC grant panel (1997-2000), including as Chair of the panel (1999-2000), and has been involved in NSERC’s restructuring exercises. Colin has supervised 17 PhD students, many of whom hold academic positions in Canada (Memorial, Queen’s, Western) and in the United States (Lehigh, Maryland, Nebraska, SUNY) and others of whom hold prestigious non-academic research positions (Defense Research and Development Canada, IBM). His students have always been a presence at the annual CSBBCS meeting. Colin has also been a leader at his institutions. He has served as Chair of the Division of Life Sciences (Psychology and Biology) (1994-1998) and as Vice Principal and Vice Dean (1998-2000) at U of T Scarborough. At Waterloo, he has served as Chair of Psychology (2012-2015, 2016-present), and will continue in this position through 2018. He has also contributed to clinical psychology in North America through his service on the Exam Committee of the Association of State and Provincial Psychology Boards (ASPPB) -- the body responsible for the clinical licensure exam (2012-2016, just reappointed for 2016-2020). In summary, we think Colin easily fulfills all of the criteria for the Tees Leadership Award, and we nominate him with maximal enthusiasm!